We raise Alpine, Recorded Grade, and Nigerian Dwarf Dairy Goats. We raise for show and milk. 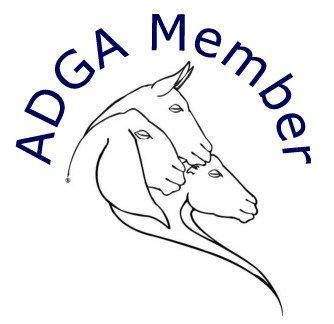 We are members of ADGA. We participate in Linear Appraisal. ​Please look at our Doe pages to see 2019 breedings and kids for sale. I am sorry we don't have photos of all of our goats. If you are interested in a particular doe or buck email us and we'll see about getting a photo of them.